Console versions still slated for Q3 2019. 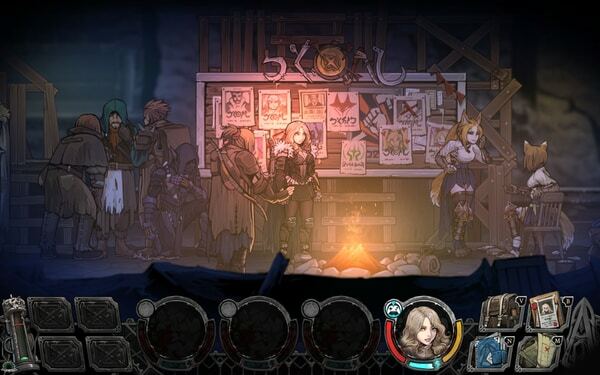 The PC version of single-player adventure game Vambrace: Cold Soul, which was previously dated for April 25, has been delayed to May 28, publisher Headup Games and developer Devespresso Games announced. The PlayStation 4, Xbox One, and Switch versions are still planned for release in Q3 2019. Vambrace: Cold Soul follows Devespresso Games’ Korean indie horror hit The Coma: Recut. Coma represents a major departure from the survival adventure mechanics of their previous title. For Vambrace, the team instead reveals a gothic fantasy tale from the minds of Minho Kim and T.L. Riven. The game features multi-class party building mechanics, punishing roguelike expeditions, and an immersive narrative with high replayability. Vambrace also boasts Minho’s signature hand-illustrated graphics that is sure to please 2D and retro game enthusiasts. You play as Evelia Lyric, bearer of the Aetherbrace and the only human capable of entering the cursed city of Icenaire. You must choose party members who will lend their unique strengths to your cause. Embark on expeditions and use perceptive allies to avoid traps and strange encounters. Leverage the strengths of fighters and magic wielders to survive deadly combat. Stock well and discover paths that will allow you precious time to recuperate in camps. The surface of Icenaire is cold and unforgiving, so you will need to use every advantage you can muster to survive! Embark on an epic fantasy adventure spanning seven intriguing chapters. Complete sub-quests to unlock up to 26 new, thematic character skins. Assemble your party from five races and 10 unique classes of recruits. Craft items and armor from precious materials gathered on your trips that will unlock new skills and enhance stats. Make crucial decisions – one wrong turn can seal your party’s fate. Prepare well or condemn your comrades to permanent death. Find codex pages to expand upon the world’s history and mythical lore.